The adventure begins here in the quiet hill town of Bettona, on the edge of the Spoleto Valley about 18km south of both Perugia and Assisi. It is home to me and home base for my guests. The perfect place from which to explore the region. In addition to providing extraordinary accommodations, I specialize in small group and private tours. You can hire me for just a day, join one of the group tours already scheduled, or let me plan a trip specially designed for your group. Full tours are all inclusive (sorry, not the airfare though) include airport pickup and drop off, day tours, most meals, cooking lessons, wine tastings, and more. 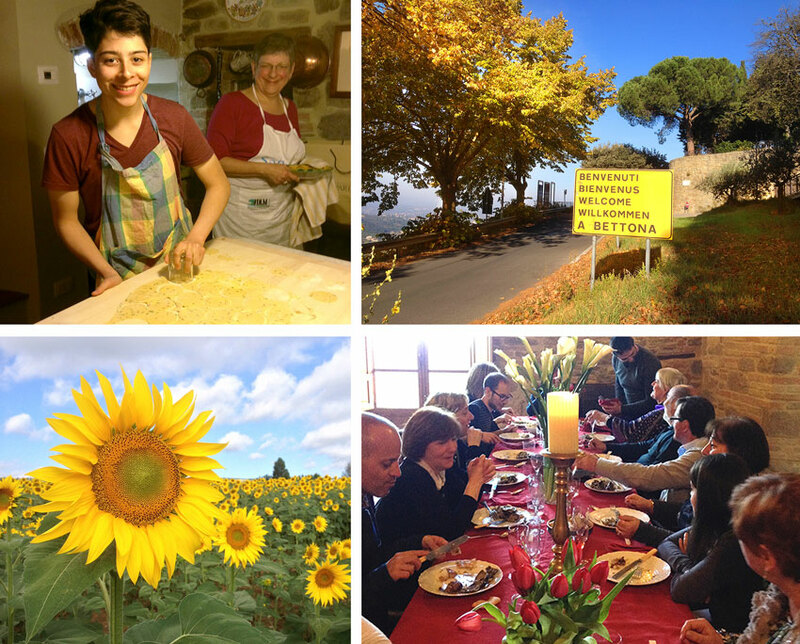 My goal is to help guests discover the Umbria I have fallen in love with. It’s what I do best. Life in a small town may be relaxing, but there are many events throughout the year. From our patron saint’s feast day (May 11th complete with fireworks) to dance performances and the town’s famous July/August Sagra celebrating the ‘Oca’ (goose), these are events you don’t want to miss. 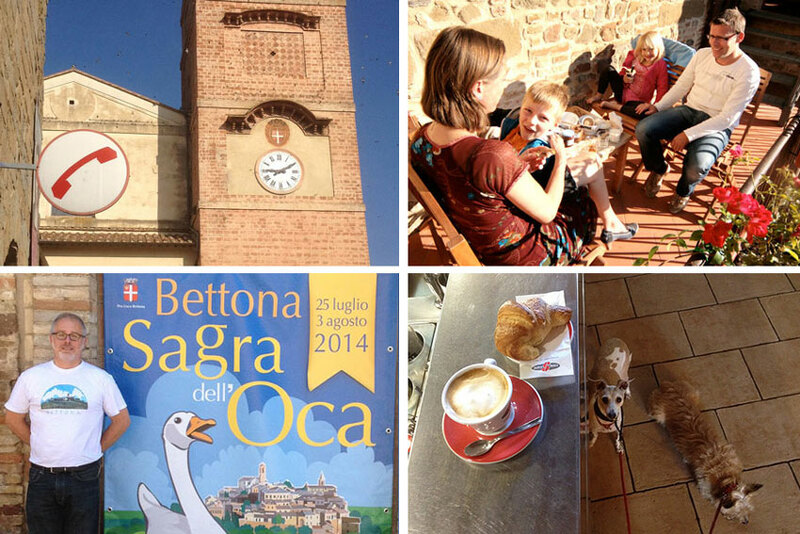 Visit our small museum or just stroll to the central piazza for a morning cappuccino and some people watching. Let me help make your vacation truly a Slow Travel holiday. The 17th century Palazzo Fiumi-LaPlaca has been completely restored and is located in the historic center on the ancient town wall with a view of the entire valley off toward Assisi. The palazzo provides a splendid atmosphere in which you can relax. There is air conditioning if you need it, meals available, cooking lessons if you’d like to learn something, and wifi to keep you in touch. Be aware, however, it’s a television free zone. Take your time and use this section of the website to explore some of the most wonderful places in Umbria. If you’re looking for one of the best vacations in Umbria, this is the place.